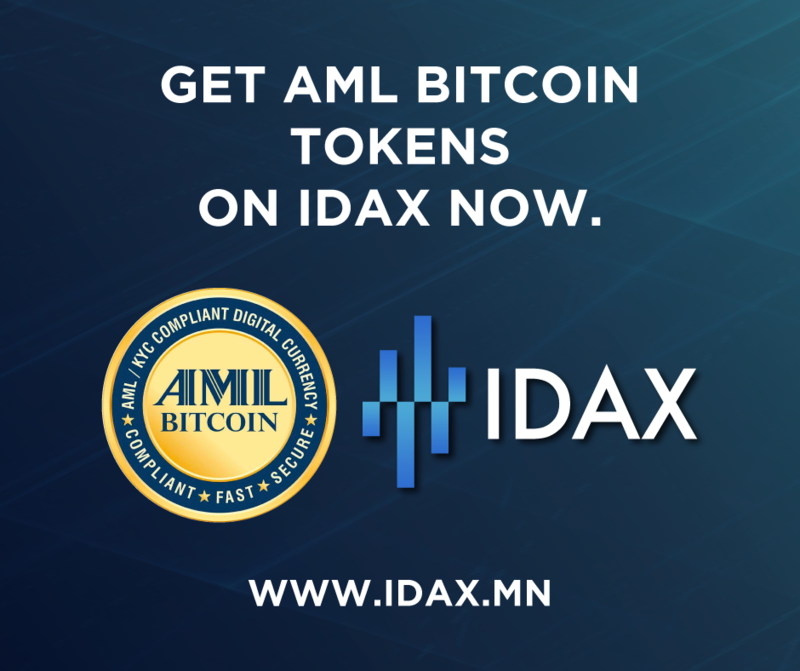 AML BitCoin Token (ABTC) is now listed on IDAX (https://www.idax.mn/#/exchange?pairname=ABTC_BTC)! Please note: IDAX is currently not allowing ABTC withdrawals until next week. We advise everyone in the US and Canada to wait to start trading until next week. Re: AML BitCoin Is Now Listed on IDAX! Actually, all the questions you just asked have already been answered if you had read through the white paper or have been paying attentionto their Twitter account. They already explained that token holders do not need to be verified. Once tokens are traded in for coins, they will have to be verified. They have not finished developing the technology for the coin yet, and a date has not been released. They are only trading tokenson idax at the moment. I agree there are some communication issues regarding the ABTC team, but your questions are all pretty straightforward. I'm wondering where all the tokens have come from that are being exchanged at the bid. It is unusual. Over 100k traded many below initial public offering. If I'm incorrect I would certainly appreciate an correction. I am a huge supporter of AML/KYC and believe long term AML can be the standard. I'm just confused at this opening and how it took place and was created. Press releases were informing us HitBTC was to be the first exchanged. Now, I did learn through chat, that ALM was looking into other exchanges, but no detailed confirmation was provided. IMHO, AML has made a couple of unforced errors and would suggest in the future they keep the unforced errors at a minimum. Can you please let me know where in the IDAX website I can see the price in USD for 1 AML Coin? I don't understand the site and I want to buy more coins. It’s listed Abtc/btc so it doesn’t list it in USD. Although at the top of the pairing it breaks it down to USD. If you open an account on IDAX and deposit some Bitcoin you can buy ABTC. I know it might be confusing but when you start actually buying it begins to make sense. Good luck AML is the wave of the fire ihmo. Thank you for your inquiry. Please note that the token is listed as ABTC but will show the USD price at the top of the part of the screen. In order to see this you will have to register for an account here: https://www.idax.mn/#/exchange?pairname=ABTC_BTC. 3-. Mark ABTC as favorite by clicking in the star next to "ABTC" and hit "enter"
You will be able to see on the top close to the left corner the price in USD. When will we be able to withdraw from IDAX? How can I buy ABTC coins in IDAX? 1)Login to your IDAX account. 3)Search for ‘ABTC’ on the search or scroll down here and mark ‘ABTC’ as favorite. Please note that the only way to buy ABTC on IDAX is with digital currencies. IDAX will allow any digital currency as a payment method only if the digital currency is supported by IDAX.